Heavy and non-Fe metals can be melted down, time after time. They are thus ideal for recycling. An important role here is played by the quality of the processed, sorted metals to ensure their use in the smelt and to achieve value creation and marketing assurance. Non-ferrous metals find uses in all areas of industry and in consumer goods. Depending on the material properties required, they can often only be partially replaced by plastics. 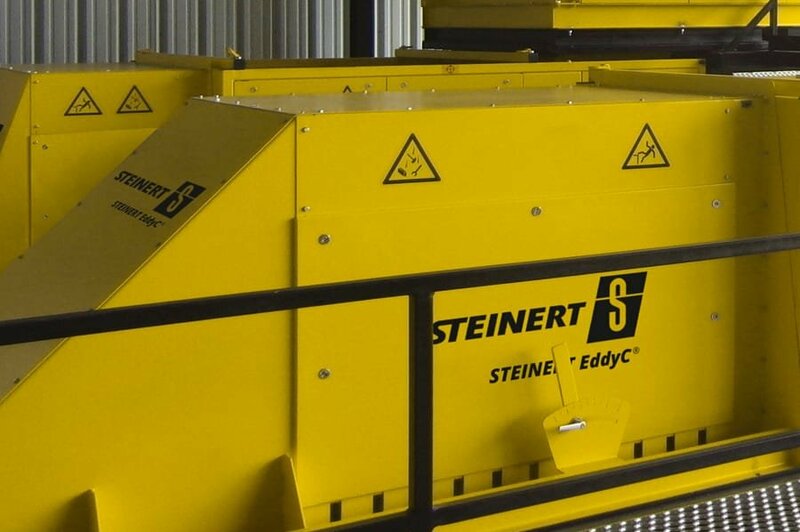 We offer you a profitable and effective solution for non-Fe metal recovery with our STEINERT EddyC® eddy current separator, which can be found in almost all dry mechanical metal recovery processes. In its STEINERT EddyC® FINES version, this non-ferrous metal separator is ideally suited for fine grain sizes up to 0.5 mm. This is made possible by its precisely adjustable separating splitter mechanism, optimised to the drop parabola of the material stream. Combined with the trusted high-frequency pole drum with its eccentric construction, the highest yields and purity levels can be achieved. 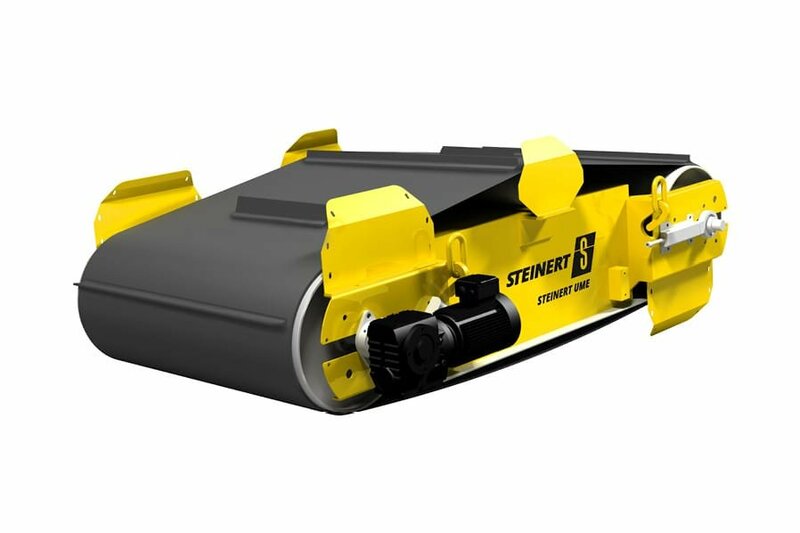 Whether it is for non-Fe metals recovery from fine ash residue from >0 to 10 mm, from shredder operations, or for dry mechanical sorting of mixed residues containing metals +10 - 120 mm, our STEINERT EddyC® series gives you both the renowned high level of operating reliability and also innovative functional design for increased performance. The product (ZORBA) of the non-Fe separator is a valuable input for all manner of non-Fe metal recovery plant as a means of separating and recycling the non-Fe metals contained. 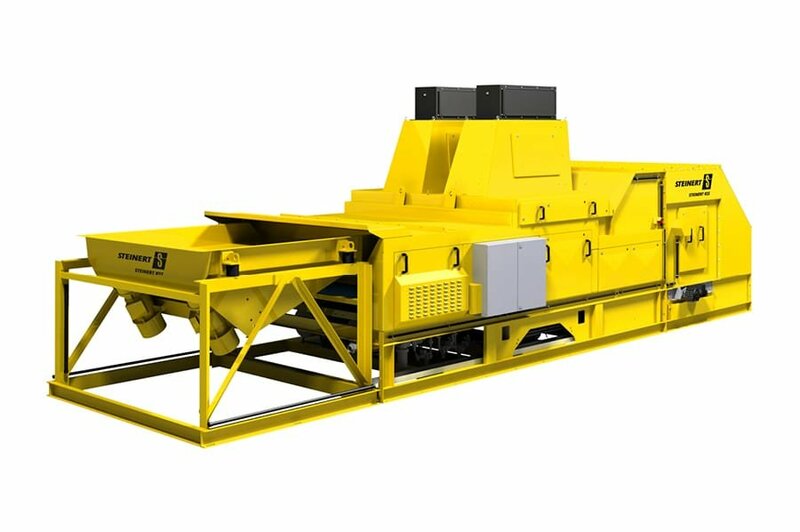 Customers for non-Fe products include dry mechanical process operators, manual sorting plant, wet mechanical systems and secondary smelting operators. Wet mechanical separation (also known as dense media separation (DMS), or the sorting of material by density using liquid separation media) of metals and contaminants achieves good separation of non-metals and metals and also of light and heavy metals. Since the input material is normally very heterogeneous, however, and contains commingled waste, a DMS system separates the individual product and waste streams with different (and fluctuating) levels of purity. Residue streams and the lightweight metal fraction of aluminium may in some cases still contain 2-6% metallic recyclables such as boards, cables and metallic commingled waste. These materials can be recovered using an online or an offline process using our STEINERT KSS and sorted into their individual fractions. Typical grain sizes here are +10 – 40 mm and +40 – 120 mm. A sensor combination, e.g. Of colour camera, metal sensor and laser, detects the properties of the individual objects and forms product classes, adapted to the customer, that are stored as the sorting program. The so-called heavy fraction of the DMS is a highly valuable mix of heavy metals such as copper, zinc, brass etc. Owing to surface dirt, colour sorting is only available to a limited extent or for smaller grain sizes. And with classification by grain size, the material concentrates are only controlled to a limited extent. In recent times the sorting of heavy metals into types using x-ray fluorescence (XRF) has proved itself in practice. Thanks to the easily detectable emissions spectrum of the metals under radiation with x-rays, the heavy metals can be separated by individual type: copper, brass, zinc (zamak - ZnAl 4%), lead, stainless steel and items containing gold and silver. The material value and mass fraction of the products determines the sorting concept and the technical and design aspects of the machine. 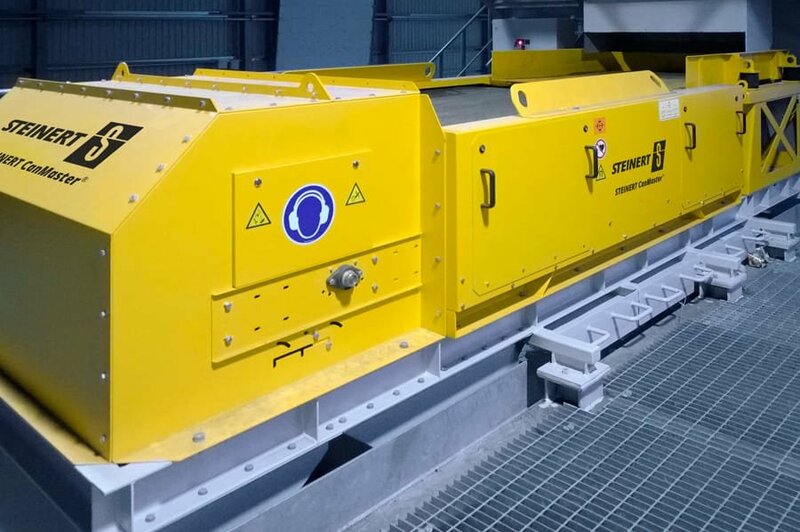 The separation agents used in the DMS process such as ferrosilicon and magnetite for adjusting the specific density of the media can be recovered after the separation process using our STEINERT WDS and fed into the process cycle once again as concentrates. 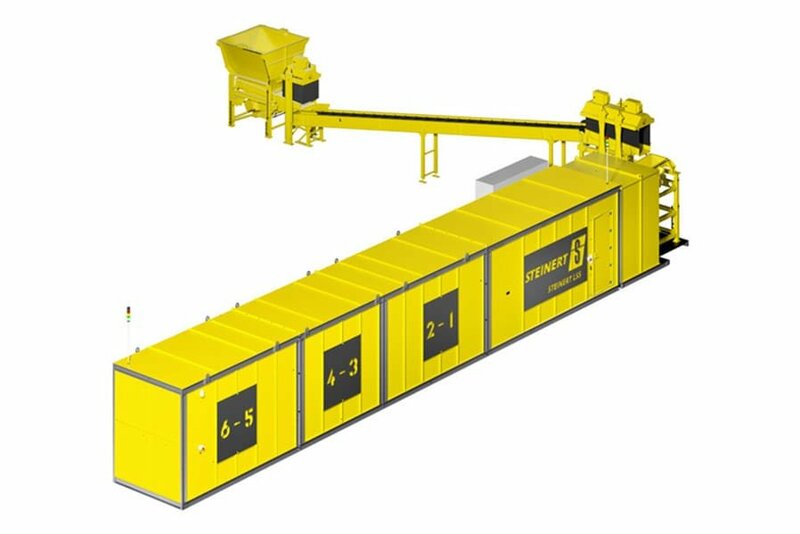 Smaller sorting plant for non-Fe metal processing sometimes use simple mechanical processes (shredding, screening, sifting) aided by manual sorting. By placing machines with combination sensors upstream (STEINERT KSS) in a batch configuration, pre-products such as boards, copper, cable, brass etc. can be effectively created. This makes manual sorting more efficient, contaminants are removed and the sorting depth is increased. Smelting operations with secondary heavy and non-Fe metals require pre-products that are as well-sorted as possible and defined alloys in order to be able to abide by the technical demands of the plant and the requirements of the customer. If the supplier's scrap is not sufficiently clean or too heterogeneous, it must in some cases be re-sorted. This might be aluminium scrap, zinc plate or copper or board scrap. 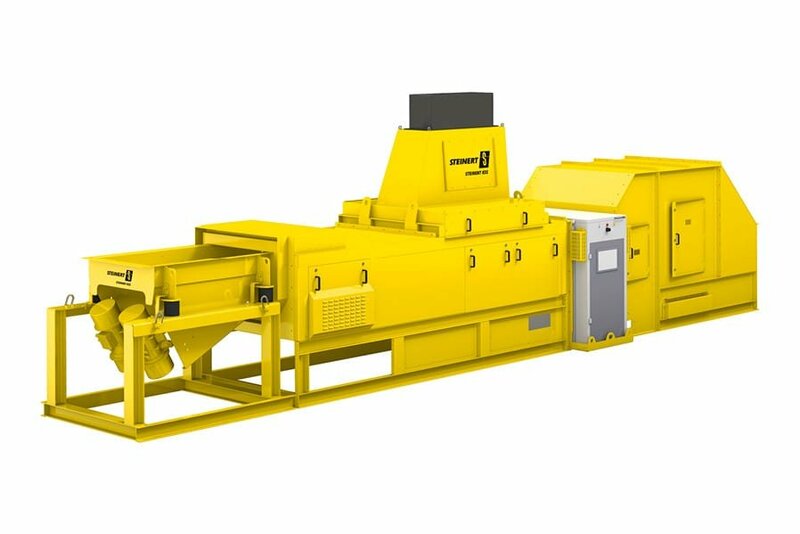 Aluminium and lightweight metal scrap that is delivered with elements of free heavy metal still present can be further purified using our STEINERT XSS T x-ray transmission (XRT). Profiles, food containers and aluminium castings can be economically sorted in grain sizes 10 - 150 mm. 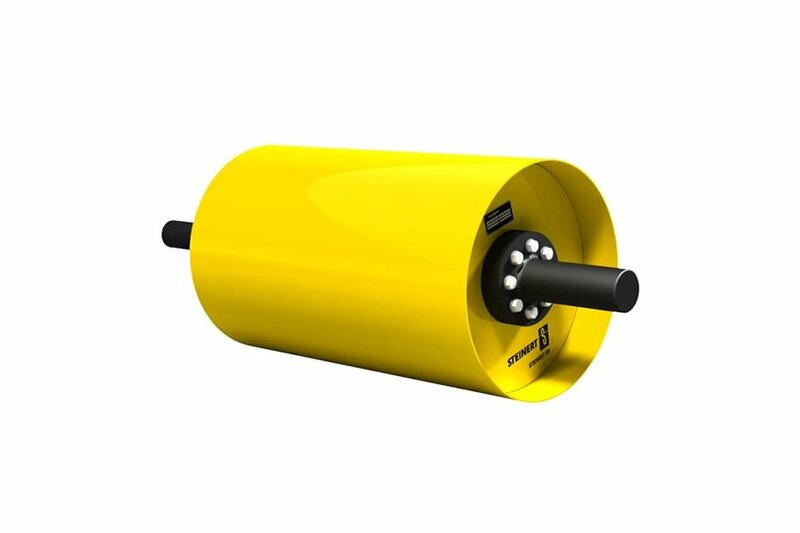 This allows accurate cleaning of aluminium scrap and reduces the proportions of zinc, copper, iron or brass. If light alloy elements are detected in the aluminium, appropriate sorting can be provided with our LIBS technology. LIBS stands for „Laser Induced Breakdown Spectroscopy“. With STEINERT LSS, aluminium alloys can be separated on the basis of magnesium or silicon content, as examples. This then makes further separations within the alloy groups possible. For heavy metals and their heavy alloy components, our XRF technology (STEINERT KSS LXF) has the necessary features to increase the material quality of the primary smelting product. Fine copper scrap, e.g. from metal or cable processing, has high purity and good breakdown and is mostly separated from other non-Fe metals by means of colour sorting. Depending on the design of the machine, sorting task, profitability and throughput, material from 1 mm to 300 mm can be sorted; here, as in general for sorting machines, a division of grain classes by a ratio of 1:3 is recommended. The material is rich in free heavy metals and aluminium. With the STEINERT XSS T the heavy metals are recovered and the aluminium simultaneously cleaned. 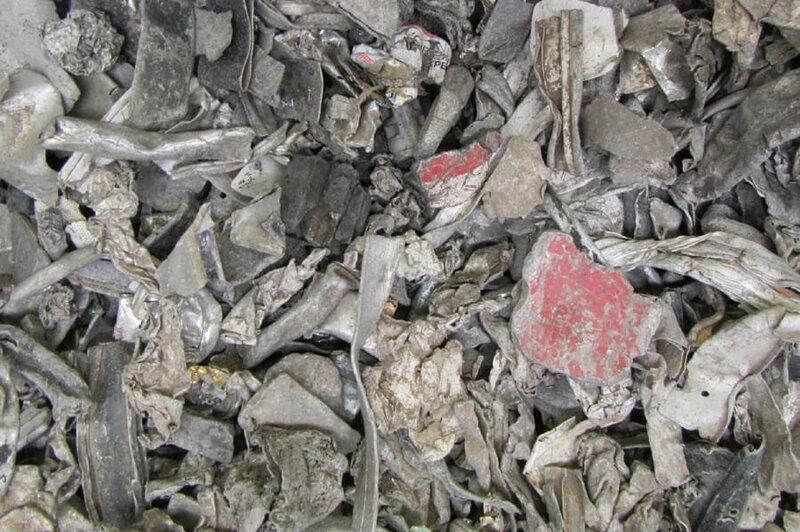 Aluminium from shredder systems and dry processing can then be reused as a secondary raw material. Aluminium can waste originating from mixed collection and packaging. This material also contains proportions of contaminants and heavy metals that can be sorted out using eddy current separators (STEINERT EddyC®) and x-ray technology (STEINERT XSS T) to improve purity before the smelt. In addition, the material is normally shredded, screened and then sorted.